Garbine Muguruza beat Monica Puig 6-4, 6-0 o ease into the quarter-finals of the Pan Pacific Open in Tokyo. Garbine Muguruza overwhelmed Olympic champion Monica Puig in straight sets to ease into the quarter-finals of the Pan Pacific Open in Tokyo on Wednesday. Playing her first match since taking over the top ranking, the Wimbledon champion broke her Puerto Rican opponent twice in the first set and was even more dominant in the second as she romped to a 6-4, 6-0 triumph. 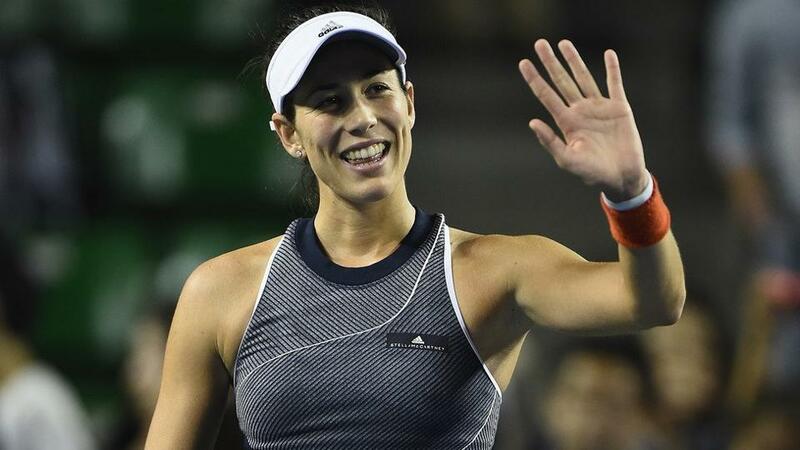 Puig dropped her serve in the first game of the match but used her impressive court coverage to restore parity in the fourth game before Muguruza seized control of the contest when she broke her opponent again in the next game. Once she had established a one-set lead, the 23-year-old Muguruza moved up a gear to race away from the Puerto Rican world number 70 and sealed the win with her third ace after 75 minutes. Earlier, Karolina Pliskova appeared to suffer no ill-effects of playing without a coach when the tall Czech swept aside Magda Linette 6-2, 6-1 to also advance to the last eight. The world number four, who split with coach David Kotyza last week, capitalised on an early break to win the first set in little more than half an hour. Pliskova’s power proved too much for Linette, who was broken in the second game of the second set, before the Pole’s wayward forehand helped her opponent book a place in the next round. Elsewhere, Russian Anastasia Pavlyuchenkova laboured to a 6-4, 4-6, 6-2 win against China’s Wang Qiang, who had inflicted a ‘double bagel’ on out-of-sorts eighth seed Kristina Mladenovic in the first round. Garbine Muguruza overwhelmed Olympic champion Monica Puig in straight sets to ease into the quarter-finals of the Pan Pacific Open in Tokyo on Wednesday. Playing her first match since taking over the top ranking, the Wimbledon champion broke her Puerto Rican opponent twice in the first set and was even more dominant in the second as she romped to a 6-4, 6-0 triumph.